Who is my KCenter's main contact? You'll find all the contact information here. Where is located the KCenter ? Lille Campus: KCenter is located on the 3rd floor in Hall D.
Sophia Campus: The KCenter room is located near to SNACK at the level –1 at SKEMA 1. Can I use my mobile phone in the KCenter ? Lille Campus: Yes. It is possible in a certain areas (they are indicated by a picture of a mobile phone). Paris / Sophia Campuses: Yes. You can use it only if it does not disturb nearby people. Can I eat in the KCenter? Lille Campus: Yes. Only in the first area “Café Fizz” from noon to 2pm. Paris / Sophia campuses: No, you cannot eat in the Kcenter. Lille Campus: Yes. Two printer/scanners are available in the café fizz area and between the two first areas (fusée1 & fusée2) For more information, read this infography. Lille Campus: Yes. The three areas of the La Fusée are equipped with printers. The print quotas are managed by the IT department. Sophia Campus: No. There is no printer in the KCenter room. You can use the printers located in SKEMA. For further information, kindly contact Help it service. Lille / Paris Campuses: The print quota is defined and managed by the IT department. Sophia Campus: You have one thousand copies for the academic year. Beyond, you have to purchase an additional quota of copies at Help it service (room 214). Can I enter in the KCenter ? Lille / Paris / Sophia Campuses: Yes. All KCenter Spaces are places open to all SKEMA public. Is there a wireless connection? Lille / Paris / Sophia Campuses: Yes. All areas are fully covered with wireless connection. Can I bring my laptop computer with me to the KCenter ? Lille / Paris / Sophia Campuses: Yes. All areas for SKEMA are equipped and are suitable for working with your computer. 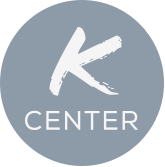 What are the free services available at the KCenter ? Lille / Paris Campuses: Yes, all services are free, except for photocopies. What are the available services in the KCenter workspaces? How to follow the KCenter news? Lille / Paris / Sophia Campuses: Follow us on Twitter and Facebook to have the KCenter's latest news. Does the KCenter have a facebook page? Please find here the KCenter Facebook page. Does the KCenter have a twitter? Please find here the KCenter's Twitter. Lille Campus: KCenter is open from 9h to 19h from Monday to Friday (from October to May). Schedules are subject to changes during holidays and in case of service constraints. We keep you informed of any change on the Lille Campus page but also by e-mail and on our Facebook page. Sophia Campus: The KCenter room is open when SKEMA is open. Will the KCenter locations stay opened during the holidays? Lille Campus: During holidays, KCenter is open with reduced hours or closed (Christmas and summer). Opening hours are given in our website, you can also get information by the posters, by e-mail and from our Facebook page. Paris Campus: The area is open when the Pole Leonard de Vinci is open. Lille Campus: KCenter and library La Fusée are located in Hall D on the 3rd floor. Paris Campus: The library offers a selection of books listed in the syllabuses. The Kcenter is located in 2nd floor of INFOTHEQUE building. Sophia Campus: Library is located near to the main entrance, on the left. Can I enter in the KCenter library if I'm not registered? Lille / Paris / Sophia Campuses: Yes. La Fusée, the Kcenter in Paris and the Library in Sophia are places open to all SKEMA public. On-site access and on-site consultation is free. How to find a document in the library? Lille / Paris / Sophia Campuses: You will find the localization of every books on our website. A search engine is available in the main menu of this website. How to register at the library? Lille / Paris / Sophia Campuses: To borrow books from the library, you need to register at the library’s reception desk with your valid student card and a deposit of € 200 (Lille/Paris: cheque; Sophia: cheque or credit card). Rules and registration form. Lille / Paris Campuses: Your subscription takes effect on the day of your deposit and it will be valid for 11 months. Sophia Campus: Your registration is valid for the duration of the academic year. Can I borrow from one of the KCenter libraries if I am not registered? What are the rules of borrowing? Lille / Paris Campuses: 4 documents for 30 days (renewable) + 4 documents of Bibliothèque idéale for 14 days + 1 reference document for one day. TOEIC/TOEFL books only for 1 week. Sophia Campus: 5 documents for 3 weeks (renewable once) except mandatory books for 1 week (not renewable) and TOEFL or TOEIC for 1 week (renewable once). Can I borrow books from another campus' library? Can I extend the documents overdue? Lille / Paris Campuses: No. Once the document is overdue, you will be penalized by a suspension period that equals to the number of days overdued. Sophia Campus: No. You have to return them and you can borrow again after 48 hours. Can I borrow all the documents? Lille / Paris Campuses: No. Journals and documents equipped with a red sticker are excluded from the loan. Sophia Campus: No. Magazines, dictionaries, reference books cannot be borrowed. Some will be allowed at the request of teachers. Can I copy or scan library’s documents ? Paris Campus: Yes. A scanner is available in the KCenter. A photocopier is also available in the campus. Sophia Campus: Yes. The Library is equipped with 1 printer but there is no scanner. To scan, you can use the printers located in SKEMA. For further information, kindly contact Help It service (room 214). Lille / Paris / Sophia Campuses: Yes. All areas are fully covered with wireless connection. For Paris use “Pole Leonard de Vinci" connection. Can I reserve a book online? Lille / Paris / Sophia Campuses: Yes, under three conditions: - The document requested for reservation is available for the loan - Your subscription is valid - The document is not already reserved. You can still book the document in this case, but you will be on a waiting list. Following a search and display the document (item record by clicking on the title) you will see the "Réserver" button at the bottom of the page. You will be informed of the document's availability by e-mail. Lille / Paris / Sophia Campuses: No. The journals are excluded from loan. NB: over 90% of them are available on different online databases as full text documents, check it on the "Journals’ catalog". All informations can be found on this site. You can also use the chat available on the home page. I'm SKEMA Alumni, can I use the library? Lille/Sophia Campus: Yes, both the library space and our documents are accessible upon request (except the databases). Contact the librarian. Paris Campus: You can use the KCenter as a co-working area but first ask for an ID Card to enter in the PULV. To read book, you have to check with the team if the office will be open. Paris and Sophia Campuses: No, you cannot eat in the Library, nor drink coffee, tea or soda, except bottle of water. Will the library stay open during the holidays? Lille Campus: During holidays, La Fusée is open with reduced hours or closed (Christmas and summer). Opening hours are given in our website, you can also get information by the posters, by e-mail and from our Facebook page. Paris Campus: The Pole Leonard de Vinci and KCenter can be open. But to read paper books check first if the team is present. Sophia Campus: The Library is closed during the Christmas holidays and in August. During other holiday periods, see the KCenter site, the YEP and the Facebook page, for any hour changes. Lille Campus: La Fusée is open from 9am to 7pm from Monday to Friday (from October to May). Schedules are subject to change during holidays and in case of service constraints. The information of any change is posted on the Lille Campus page, by posting, e-mail and Facebook page. Sophia Campus: 9am to 6pm, from Monday to Friday from October to April. These hours are modified according to school time and service constraints. See the KCenter site, the YEP and the Facebook page. I'm not a Skema student, can I access the library? Lille Campus: No. La Fusée Library is restricted to public of SKEMA only. SKEMA is a private institution. Paris Campus: No access to the building. Sophia Campus: Access to the Library and consultation documents are possible by appointment only. Can I suggest a book purchase? Lille / Paris / Sophia Campuses: You can make the suggestion via "My library account" . Click on the "your purchase suggestion" and “new purchase suggestion” fill in the suggestion form and validate your request by clicking on "submit your suggestion." It might take a week for us to process your request - The community manager will inform you of the status. What the community managers do when the library is closed? Where are the back issues of magazines and how can I consult it? Paris Campus: Is retained only the current month for all subscriptions to journals (print subscription). Sophia Campus: The numbers of magazines that are not on display are stored in the room on the ground floor, on the right. The back issues of journals are self-service. FACTIVA (international press articles) and our other databases can suit your reading needs. Access link are available on our website on this page. I don't have access to the databases from my home? All databases are accessible remotely. You just need to login on the authentication page. How to know if the library subscribes to a journal? You can access to the journal catalog on our website or from the search area available on the whole site. You will be able to browse all the libraries' susbcription. How to know if the journal is available in electronic format? You can access to the journal catalog on our website or from the search area available on the whole site. Search for a specific journal and click on the key's icone to browse all the required login and password for these online subscription. Scholarvox by Cyberlibris only preview of the eleventh pages. You have not logged in! You can log in via office 365 (available at the bottom line in the sign in menu). I don't have scholarvox's login, how to have one? How to consult a teacher shelf the Scholarvox? You'll find a specific tutorial about it in the KCenter's youtube channel. How to get access to e-books? You have both Scholavox plateforme and various others available through our website through the databases section. What are the digital resources that I can access to? You have many digital resources: full text articles, e-books, journals, memoires or thesis, and research guide books on our website through the databases section. Where can I find workshops supports, tutorial? You'll find it on our Youtube Channel. To login simply click on "bienvenue sur K2" and use your office 365 account. What are the training services available for students? What are training services for programs ? Can I have a "one to one" training ? Yes, The One to One training will be a personalised meeting. You can contact us here.